Rolled topside of beef, grass fed and from rare breed cattle; a super joint with lots & lots of flavour. If you like your joint lean then this is for you and fantastic value. 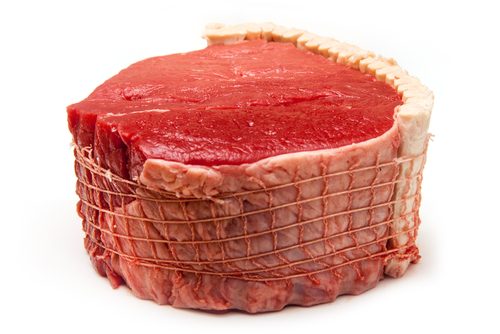 We hang all our beef for 28 days or more to ensure our beef is at its maximum tenderness. If you like your meat lean then this is definitely the joint for you. TOP TIP: To get the most of your Topside of beef; cook in some fine dark ale covering with foil for 80% of the cooking time. Use the residue in your gravy.